Hello guys, how are you doing today? The winter is particularly vulnerable season for your skin. Keep your skin healthy and keep it clean with Exfolimate. Designed in Australia - Exfolimate’s innovative micro-groove technology will help you to get ultra silky smooth skin and reduce signs of aging. The micro-grooves gently lift and remove removing dead skin cells from your face and body. This dramatically improves tone and texture while reducing pore size, oily patches and dry areas. No, it's not a razor, the edge is dull and it's safe for all skin type. How to use it? Exfolimate comes in a 2 piece set. A smaller piece is for face and the larger one is for body and they are very easy to use. To remove the dead skin and debris, simple run the tool under warm running water. It is suggested that you use Exfolimate towards the end of your shower or bath. Gently glide Exfolimate with slight pressure at a 90-degree angle along the contours of your skin, using the face or body tool. Did you know that Exfolimate helps to prepare the skin for waxing/shaving? 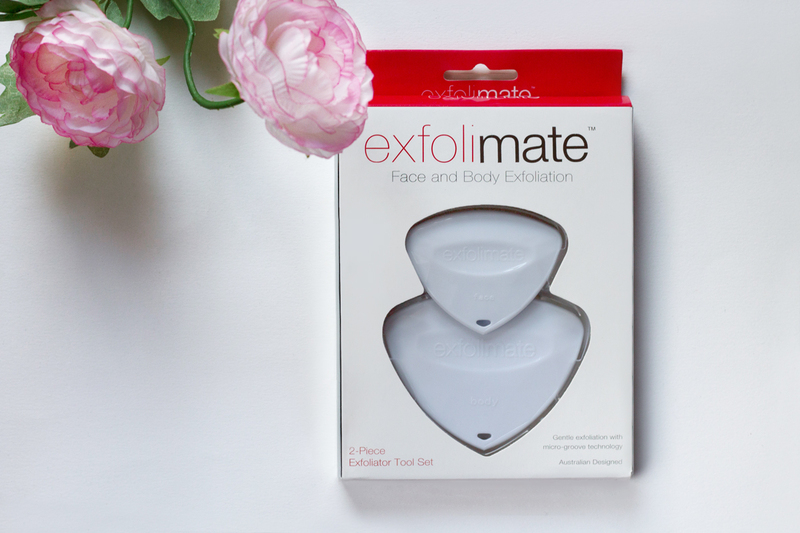 Use Exfolimate for perfect precision exfoliation, instantly smoother and fresher skin. This sounds wonderful! I love exfoliating my skin. Defo adding this to my skincare routine - thanks for the post!